Alright then, how the hell did that happen?! Well, nobody's quite sure, but Manchester United have only gone and beaten Italian champions ​Juventus in their own back yard on Tuesday night. They're many people's favourites to win the Champions League this season, they'd won 13 out of 14 games in this campaign prior to this game, they created chance after chance, but...again, Manchester United beat them. They hadn't lost a Champions League game at home since 2009. They have Cristiano Ronaldo, who, incidentally, scored an absolute banger. But ​United, through a wonderful Juan Mata free kick and the scrappiest winner you'll ever see, have taken a huge three points, a huge step to the next round of the competition, and a huge dose of confidence ahead of this weekend's trip to Manchester City. Here's how Twitter reacted on social media, firstly, to Ronaldo's goal. In truth, it was absolutely spectacular. A weighted pass over the top from Leonardo Bonucci was met with a thunderous volley over the shoulder from ​CR7, who scored against his former club. He proceeded to celebrate by showing off his six pack, obviously. Cristiano Ronaldo has scored his first Champions League goal for Juventus. Even when he plays like a 33-year-old, Ronaldo still capable of ridiculous moments of magic. Wonder goal for Juventus against Utd. There was a general feeling that United were set to crumble after falling behind, even after a largely competent display and much higher effort levels than the reverse fixture a couple of weeks ago. 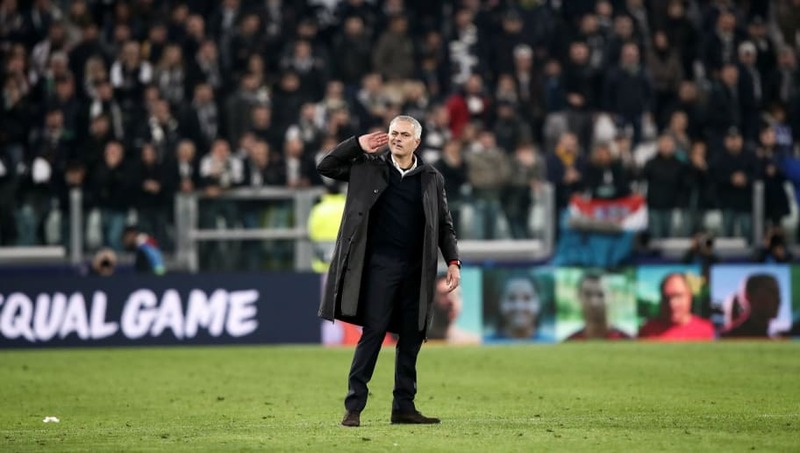 Juventus wasted a host of chances, but Jose Mourinho, still the master tactician, lumped on Marouane Fellaini and Juan Mata for the final stages. They were both instrumental - Fellaini for his sheer presence, Mata for his finesse. And with four minutes left, Mata curled in a sublime equaliser from a free kick. Masterstroke by Jose Mourinho to sell Juan Mata to Manchester United, really. A point would have been lovely, but they weren't done there. Even Martin Keown noticed - Man Utd's players believed they could win from there. And after another free kick, some bundling around in the box and a probable own goal...they managed to hit the front. Blimey, the @ManUtd comeback machine is switched on again. Juventus are lightyears ahead of this Man Utd side. Way too good. And now, get a load of Jose Mourinho at his very, very, very best. Juventus fans taunted him as the Bianconeri won at Old Trafford a couple of weeks ago, and he chucked it back in spades. Mourinho gets abused non stop, gives a tiny bit back and people lose their mind. Next up, Manchester City away. And breathe.